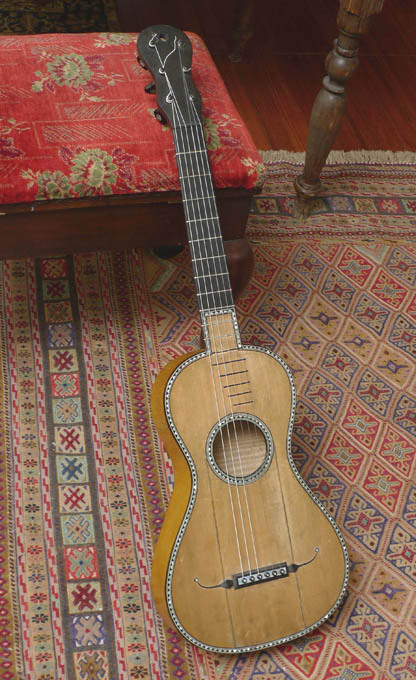 The Larson Brothers of Chicago began making steel string guitars earlier than did Martin, with their own ideas not tied to the past, and their designs are now considered by both players and collectors to be uniquely beautiful, wonderful for tone, and highly desirable. 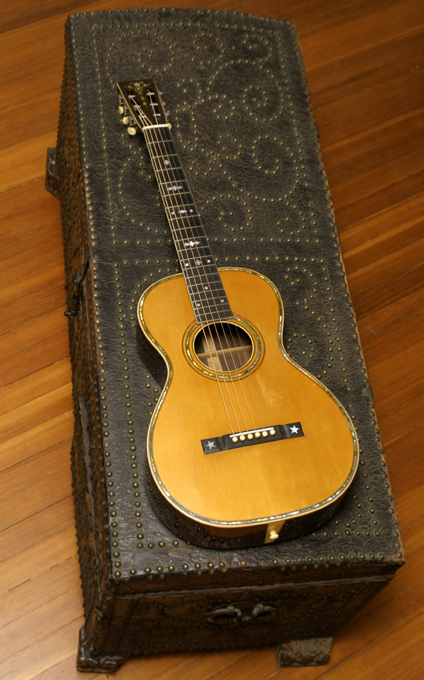 And they are much more rare guitars than Martin or Gibson– and more ornate than either Gibson or the always conservative Martin. 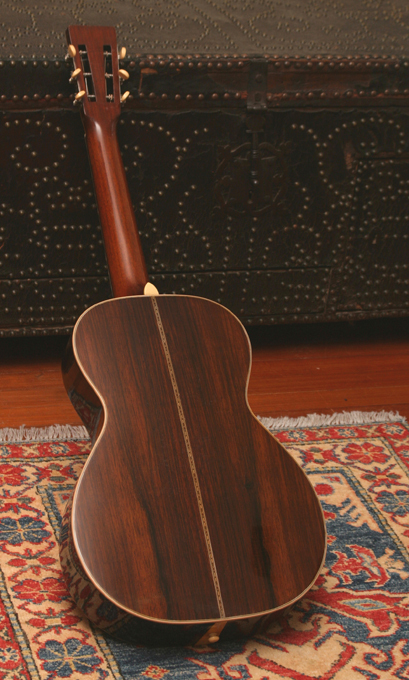 Tone: think of a Martin Brazilian Rosewood 0-sized 12 fret from the 20’s, but add much more sustain. It vibrates in your hands, and because of Larson’s patented “built under tension” design, is thought of by players and collectors as being both unique and generating more sustain than you’ll get from any other guitar ever made. 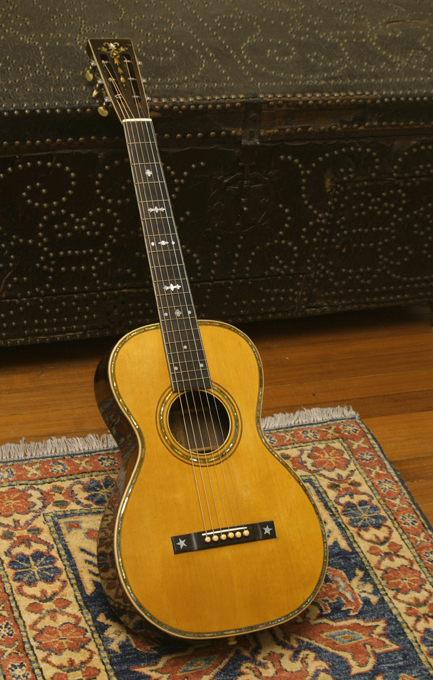 But the tone of Larsons (even the larger bodied-ones) is more treble-weighted than a Martin from the same era, so that this extra sustain does not result in a muddled sound– more like a magical shimmer and sustain that really brings out the mid- and treble-side Brazilian tone. 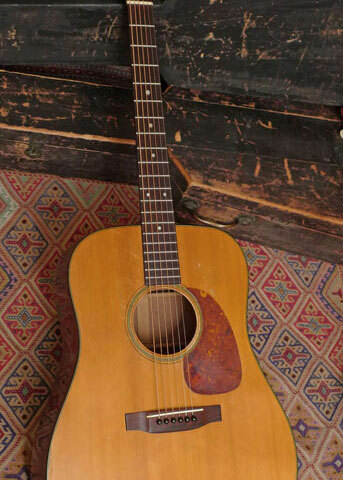 Every part of this guitar is original. 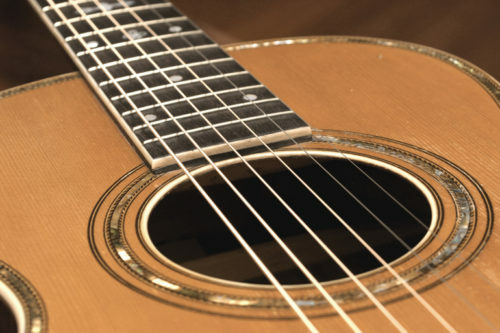 Guitar is crack-free. 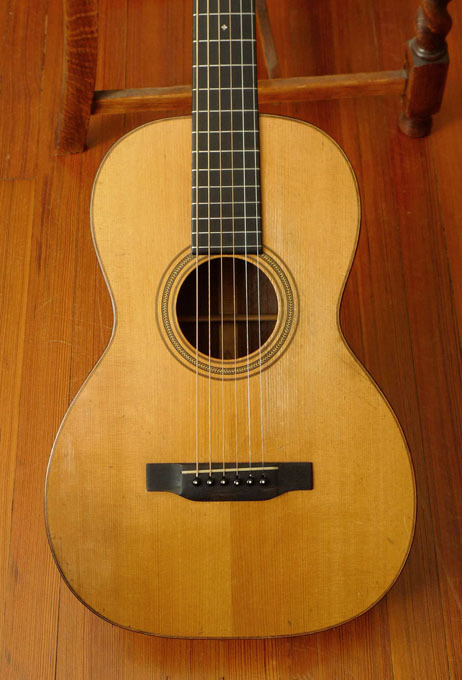 The bridge, never having been off the guitar, was at some point decades ago shaved slightly on top to lower the action. 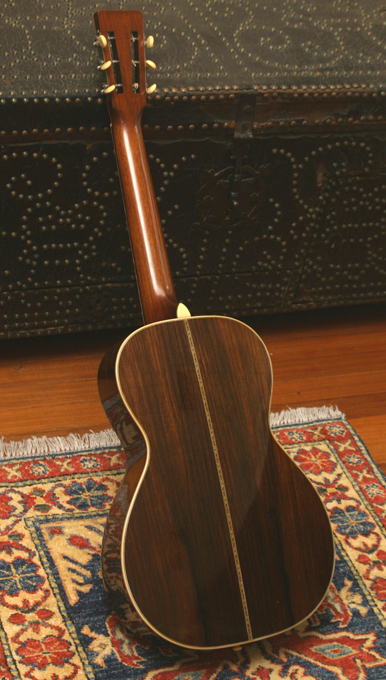 We have decided to keep this original bridge in place and not install a repro bridge–action is good, and the neck is straight. 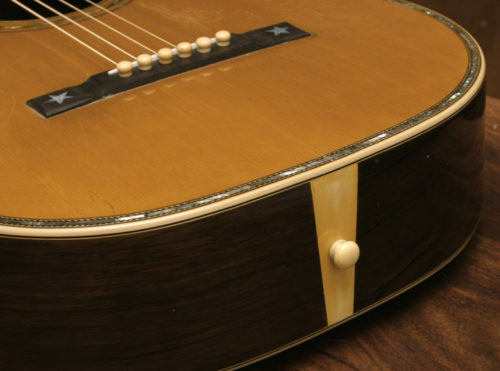 This particular model, is one of the very high end Larson models, with its Abalone trim, elaborate inlays on headstock and fretboard, and exquisite book-matched Brazilian rosewood back.